PASSIVE, UL, CSA, FM ETC. 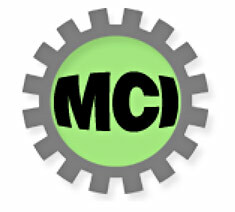 MCI Industrial has a large inventory of Ai-Tek items that can ship fast. We have daily shipments going world wide. AI-Tek Instruments (formerly Airpax) has been supplying magnetic speed sensors for sixty years to the industrial, machine tool, petrochemical and aerospace industries. Please contact us for further help. Please see speed calculator to help determine the correct sensor.